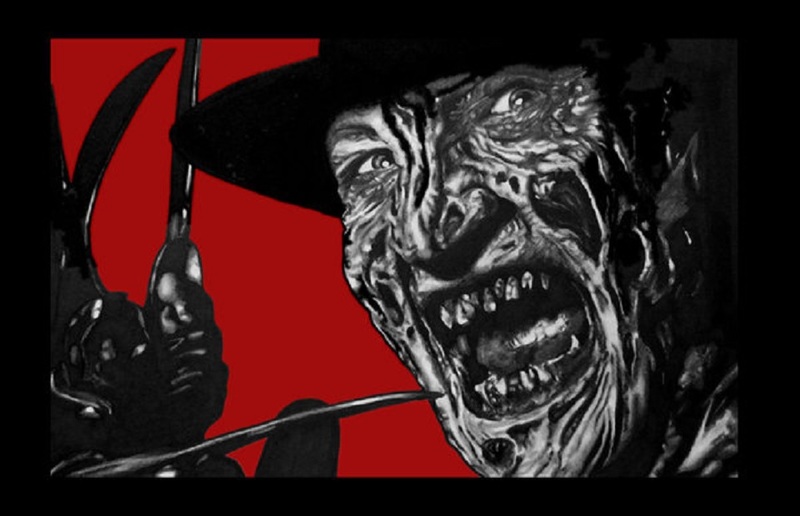 Freddy Krueger, has never been discriminative. He isn’t bothered by killing children (he prefers it, hello! ), he doesn’t care about your family, your baby sister. He sure as hell doesn’t mind hanging out with your drunk mom. He’s just an ironically cold serial killer of the supernatural sort, and between his murder methods and his zingers, he became the inevitable: a pop culture icon, looming with a menacing grin and an itch to get at your sweetest dream while hordes lined up and prayed for just that respone. He’s also into hanging with toons while asserting his dominance over the remote control. You mean to tell me that I’ve been living with a lie that could leave me forever scarred? Well, you know what? I’m still marching on, and I admit It’s kind of cool to know that someone was sharp enough to know that spoofing, parodying, or just plain paying homage to one of the hottest horror legends in existence couldn’t hurt the brand, just so long as the rules of decency be abided by. Who wanted to miss this one? And that brings us to this awesome little animated gif (if you find a full scene video, let us know!) that was birthed back in the Best O’ Plucky Duck Day episode segment, Duck in the Dark. It’s a nice treasure to unearth, and if you love all things A Nightmare on Elm Street and Freddy Krueger, well, you’re okay in my book!